It’s About Transparency: The idea of “real time” updates seen on personal social media pages will be used as a marketing tool for corporations and small businesses. That means less “sales talk” or obviously orchestrated updates and more conversational, friendly posts. Digital marketing services will work with clients to help them develop a comfortable tone and rapport with their social media followers and friends. Expect a lot of “behind the scenes” posts that simply show a customer what they’re up to, or provide a peek into their process. This establishes trust and confidence in a brand and also makes a consumer feel a sense of ownership and connection to a brand that didn’t previously exist. Social Networks to Focus On: Everyone in the social media world wants to take a swipe at Facebook and knock it off its pedestal. Though most young teens have essentially abandoned the site for its hipper counterparts (Instagram, Tumblr, Snapchat, Vine), Facebook still reigns supreme with 1.19 billion monthly users. Twitter comes in second with 645 million users. For most businesses, Instagram is still an untapped market. But the site has so much potential for marketing. First, it’s free to market on and share your promos, stories and products. It just takes a little work to gain likes and followers, but once you do, you’ll find that Instagram users are highly-engaged and passionate about the brands they choose to follow and interact with. This platform isn’t perfect for every company, but a digital marketing agency can help your business assess your chance of success on Instagram before making an investment on marketing. Instagram’s biggest pull is that is has youth on its side. The image and video based social site has been ranked top among people in their teens and early 20s. Google+ is Fading, But Still Important: Google+ never took off as a true social network and its users are dwindling daily. But it still has one very important and specific use for businesses: it is the perfect place to organically increase your SEO rankings. Google+ is still used by major corporations, such as Starbucks, because they recognize it for what it is: a great spot to increase keyword rankings without paying a penny. It’s a smart search engine optimization trick that a lot of digital marketing services ignore. Video Content is Key: If you aren’t putting out any video content, you are missing out on a major SEO strategy point. YouTube is the Internet’s second largest search engine, second only to Google. If you have no video content, you are missing a chance to be ranked on the world’s second-largest search engine. In addition, video content allows you to reach an audience you may have formerly missed – and engage a completely new set of potential customers. 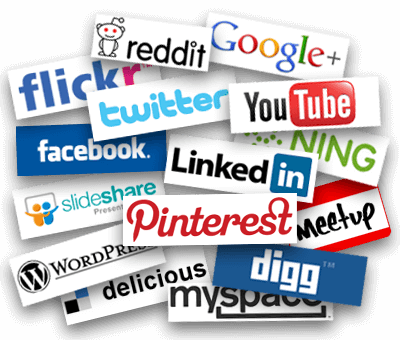 Want to find out more and improve your search engine optimization and social media presence? Learn more about search engine optimization and social media marketing at Noxster, a leading LA digital marketing agency, specializing in social media marketing and Los Angeles SEO services. Noxster provides clients with valuable information and the tools they need to succeed in the online marketplace.